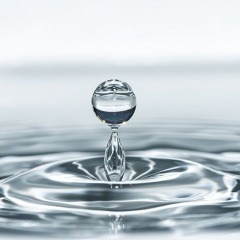 Read my other posts from this and last year. 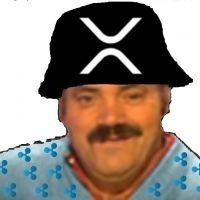 I said XRP is S H I T, a big rip off. And a lot of turds from xrpchat are paid to spread their bs on this forum. Wooohooo!! Apparently there is money available. 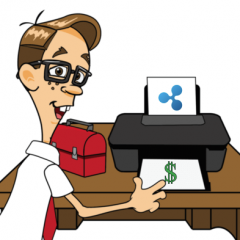 I’m as big a **** as any (ask anyone that knows me,) and I’m very happy to sing the praises of XRP. So where is my money? More seriously... I would be flabbergasted and surprised, my world view shattered, if that was true. Just because you can’t imagine people having enthusiasm without payment doesn’t mean it does not exist. I don’t believe your conspiracy theory for a second. Do you have any proof or just a general sense of disgruntlement? To be fair: he was right for crypto not going to the moon this year though. Although there was no way of knowing that for sure at that time. His other “ claims” are just BS. He and his fellow fudsters are doing the exact same thing now as they’re accusing believers off: sticking to the sentiment of the moment ( bearish) and assuming it will stay that way. I believe sentiment will change in the next months. Slowly at first, more and more rapidly later on. It’s going to be interesting in 2019. We all humble offer you our apologies and kneel down to pay you the respect you deserve, oh wise leader and true prophet. Technical Analysis.. assuming that was not sarcasm..
..so how much do you make per post here? If you thing TA is about predicting the futur you're wrong. It's about making scenarios to optimize entry/exit positions. In the mean time I took advantage of that inverted h&s and profit. If you really think that, you haven't been following much TA. Almost every TA person I follow has been calling for a bitcoin crash, from anything down to 5k, to 3k, and to 1k. Tone Vays has literally been saying this from February/ March 2018. Check out Peter Brandt, Venzen, Willy Woo, Tyler Jenks, and a host of other people I follow. You couldn't be more wrong with that opening sentence. I don't think it had anything to do with TA but common sense. Let's think just for a moment, damn near 100% of all ICOs are either denominated in Eth or BTC, so it was an inevitable outcome that prices of both coins were going fall and fall hard. Because most of these ICOs coins are worthless, they sell the most valuable asset(s) at their disposal (i.e. ETH and BTC) to continue funding their projects. You couple that with the all of the retail speculation swirling around and it created the perfect storm. It’s common sense that something that goes parabolically up is gonna come down. The TA bit helps you fine tune when and from what price point and to what price point that may be. 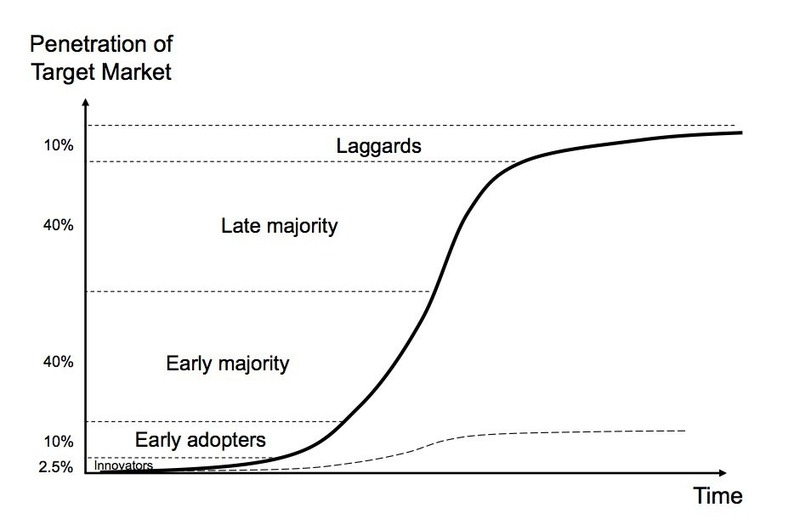 Adoption curves are usually parabolic, and don't come down. Price charts do though, right? Usually. Maybe not every single time, but usually. 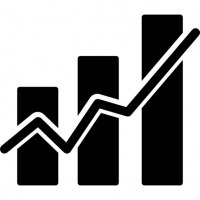 Price of fixed supply digital assets is directly related to its adoption. I think what you mean is that price never moves in a straight line. Eric Voorhees one time explained it very well. If Bitcoin grows to take over the world, then it's price will be something way higher than it is today. And let's say that takes 10 to 20 years. If it would just steadily moved u﻿p towards that price, over these years, you'd have an asset that grows, say, 10% per month in price. How many months you think something grows 10% in price, before people start frontrunning that, and buying early? And so what you get is people buying something well ahead of where that price appreciation would be, and that price appreciation accellerates and turns into a bubble, and then the bubble gets out of control and it pops. And falls down for a long time. And that is the natural order in which an ascending asset goes from zero to some day probably a million dollars per coin or more. It does not happen in a straight line, that would be impossible. That link doesn't work for me but will check it out later.